For this month's blog carnival we were asked to tell about our favorite object. I figured that I would relate my favorite object to my metalsmithing work. 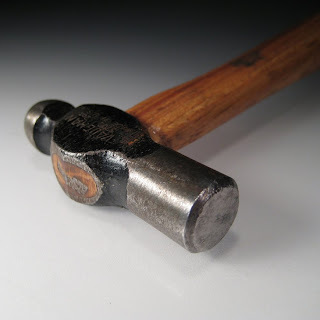 It is a student small ball peen hammer. Its a simple and inexpensive tool, but it is my favorite. It is the first hammer I go to for any job. It is balanced, useful and reliable. I didn't even think about tools!?? ?